The 'Bike & Boat' concept enables you to discover the heart of a region on a fantastic exploration of both land and waterways. 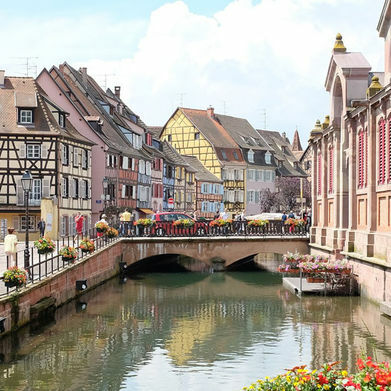 Spend your days pottering around on your bike, taking in the culture and sampling local delicacies, before returning to your cabin in the evening for a delicious evening meal and a good night's sleep. This wonderful style of travelling means that you only have to unpack once, whilst also enabling the journey to never stop. 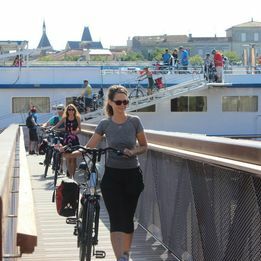 Most of our Bike & Boat itineraries come with the option to take guided cycling routes during the days. This gives you the opportunity to explore the region with the help of a guide, who can enrich your trip with local knowledge and keep a time check for when you need to be back at the boat. This is a fantastic option for those who want to fully relax and not have to think about keeping a daily schedule. For those who would prefer to venture out alone, we can provide route maps and repair kits. Just remember to be back on the boat in time for a delicious evening feast. All of the bargers and river cruisers come with everything you could possibly need for the most fabulous of holidays; comfortable ensuite cabins, spacious living areas to relax in, an onboard restaurant and sundecks from which to catch some rays over an aperitif or two. Think of your vessel as a floating hotel which is fully crewed with a skipper and catering staff. Each morning you will be served a hearty breakfast to set you up for a day of exploring, and also a packed lunch. When you return in the evenings, you will find a sumptuous dinner served with wine. 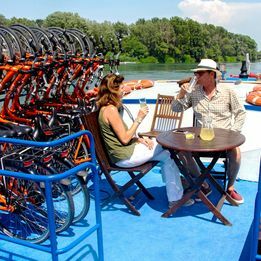 "On our Bike & Boat tours, your accommodation is a 'floating hotel' where you'll dine and sleep before heading out to discover a new area each day on two wheels." 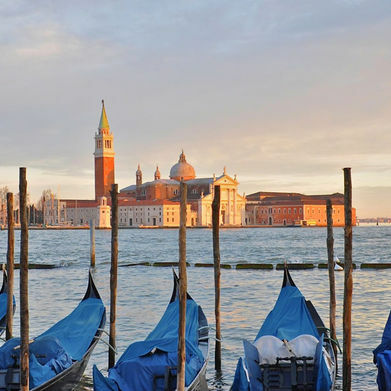 A one week Bike and Boat holiday to explore the bustling streets and magical waterways of Venice, and meander across the Po delta through idyllic fishing villages, all the way to the art and opera of Mantua. 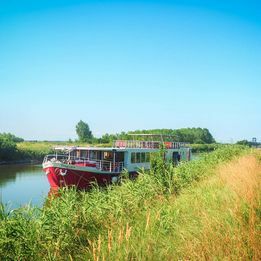 A weeks cruise to explore the beautiful rivers and vineyards of Provence and Camargue. The MS Caprice and MS L'Estello are 2-star to 3-star vessels.